We hit single digit day today, which always deserves a few dancing bananas! We are headed back to the Boardwalk next Wednesday - after staying there last September, we can't imagine staying at any other resort. We are staying 11 nights this time and we're really glad after the winter we have had so far! We fly out early from Toronto and should get into MCO around 9:30am, then it's off to the Magical Express and on to the resort. We booked a water view room this trip and we're both secretly hoping to get the same room as last time. Our magic bands will be waiting for us and once we get checked in, our plan is to head over to Epcot, with a quick stop at guest services. We want to check on upgrading our 10 day park hopper to an annual pass. Not sure if we will do it, but we at least want to check the cost. 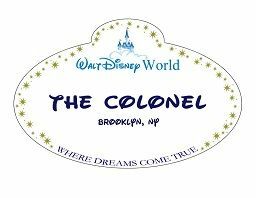 We do plan to go back to WDW in the fall, so it would save us a little money. First stop will be France for a grey goose lemon slush and then on to Germany for a beer for Ken and I guess we should have a snack as well. Dinner our first night is at The Flying Fish, one of our favourite restaurants. We (more like I) booked fast pass selections for half of our days and left the other half open, as we like to just go with the flow. We booked DHS on Thursday, MK on Saturday, AK on Monday, Epcot on Tuesday and then another round at DHS on Friday (gotta get at least 2 rides on TSM!). We are doing the Keys to the Kingdom tour again this time on our first Friday. The first time we did this was in 2010, so we are looking forward to doing it again. We booked a morning tour so we can get into MK before it opens. Saturday we have breakfast reservations at the GF. We are trying our the Grand Floridian Cafe as so many people have said they love it for breakfast and Ken wants to try the Lobster Eggs Benedict. Then it's on to MK and dinner at BOG. I got a dinner reservation a few months ago that someone had cancelled, then I was checking again yesterday and there were quite a few available for the Saturday night, so I was able to change it to a little later. If you're trying to get in, just keep trying, especially when you are getting closer to your travel date. It worked for us. Monday we are headed to AK, with lunch at Yak & Yeti - we love this place. My plan is to try the Kobe beef burger this time based on everyone's recommendation. We then have dinner reservations at the Cali Grill, just in time to catch the fireworks at MK. This is all we have booked so far for meals, but we want to go back to Tokyo Dining and we also want to try Jiko at AKL this time. We are planning to meet up with mrhub and scrappy when we are there, which I know will be a lot of fun. Ken will be taking pictures as usual and we will try to provide daily updates like we did in September. All that's left now is to get packed and put in 6 more days of work. Have a great time. The only resort I like more than The Boardwalk is The Beach Club. Don't forget the fried wantons at Y&Y. One of the best desserts I've ever had. Really looking forward to this trip. 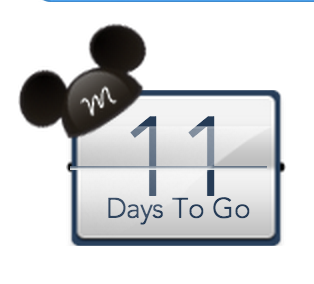 We're doing 11 nights this time so it will be a nice long vacation at WDW. My camera is all geared up and ready for action! Also really looking forward to meeting MrHub and Scrappy in person! Oh awesome! I love long Disney trips! And your pictures are the best. I may have some on my computer at work as my backgrounds! Interestingly, with 9 days to go, we can supposedly STILL make changes to our Magic Bands. But I think what's really happened is that Disney has left the status in limbo. Will be interesting to see if it changes closer to our travel day. Woo hoo for single digits! Sounds like you've got a great mix of dining and down time. Can't wait to hear about it! I wish I was going too - you're right, the winter so far has been nasty! Hopefully the weather will cooperate, and you get out of Toronto with no trouble. (those of us who live in SW Ontario know why I am saying that! I can't wait to see your photos, and hear about your trip. Have fun. Have a great trip, Ken & Jan! It sounds wonderful--I'm looking forward to your trip report already! We will be right behind you! Cant wait to meet up. If you're doing MK Sat, we might meet up then too or at the Poly. Haha! We'll turn the lights on and warm the place up for ya! Definitely could meet up with you on Sat. Only one week to go! I'm looking forward to another TR from you two and lots of pictures! Yes yes yes to the kobe beef burger! I'm drooling just thinking about it! And I'm excited to hear about your KTTKT, we're planning on taking my sisters on it in September. Thanks everyone. Down to 7 days - a week from now, we'll be getting ready for our dinner reservation at the Flying Fish! Definitely in for a meet up on Saturday mrhub - our dinner is later at BOG (8:20), so we could do before or after. I believe MK is open until 11pm that night. Looking forward to the trip report! so jealous you get to go in a week! You guys and mrhub and scrappy are almost there! Yes! We are really close now. Yay! Have fun! Can't wait to follow your trip! Hi there, newbies here. We'll be there starting next Wednesday also, staying at the Beach Club Resort for six days. We have four days planned out with dinner reservations and some Fast pass activities. Keeping Sunday for a go with the flow day so far. We haven't been to WDW for 20 years. I know, don't judge us, life got in the way. We're really looking forward to it. yahoo on your 5 days to go! Have a great time RZChief90! You'll love being back in the world. We just have to make it through today at work, then it's off to the airport for dinner and overnight stay. Then an early morning flight to MCO tomorrow. Have a safe & wonderful trip, Jan & Ken! Have a safe trip. We will be right behind you! Have a fabulous trip. Take lots of pictures for those of us stuck in the -18 weather. Have an amazing time. Seems like a great time of year to visit. Thanks everyone! It should be a great trip. Well I guess this will be the first photo of our trip report. We're checked in at the Gateway Sheraton at Pearson International (Toronto) and this is the view from our room. One of my favourite hobbies is plane spotting. This is a great place to do it. I have the ATC app for my iPad so I can listen to the tower and aircraft. It's a cold -22C here (-8F). Needless to say, we can't wait to get to Florida. Anything is better than this freezer we're in right now. It's 5:00 am and we're sitting at the gate. Ready to go to a warmer place. It's -27C right now. That's our planecicle in the background.